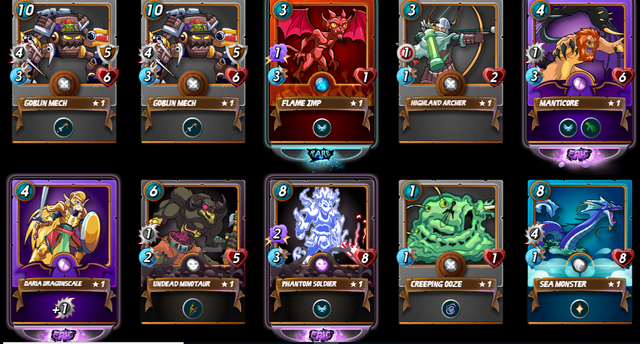 Steemmonsters Last Season RewardsteemCreated with Sketch. Hello everyone and happy weekend. 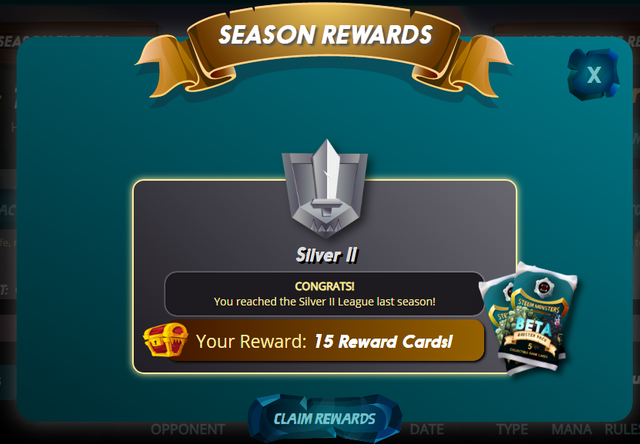 The last season for Steemmonsters ended a few hours ago and I have my reward which is 15 reward cards since I reached the silver ii league. I was not active for that season but I had fun whenever I was on to battle out. It relaxed me a little as I was feeling stressed lately. I am just revealing what's in the card as at the time I am writing this post. Wow! I got 3 epic cards and one which is new for me - manticore. This makes the set a good one for me as I had been having bad cards lately which some of it in this group...lol. Okay, let's check the last 5.
okay, not that bad. 3 rares is something too. That's it all. I hope I will get active in the ongoing season and win more cards for myself so that I can be able to join the tournaments and reach at least somewhere.